I never thought that after leaving the rigorous IB Diploma Programme (DP), I would come to dislike free time. Throughout my high school career, the IB diploma and competitive swimming kept me busy. So busy in fact, that after coming to American University in Washington, DC from Tampa, Florida, I wasn’t quite sure what to do with myself. Sure, I had plenty of extra time to do homework, go to class, and work out but I felt like something was missing. One day, I saw an Instagram post about a volunteering opportunity, and I knew this was the missing piece. My IB education had ingrained in me a value of philanthropy and social justice. I missed giving back to my community, especially after my move to a new city that I had little experience with. I went back to that Instagram post and followed the link to something called EagleTHON. 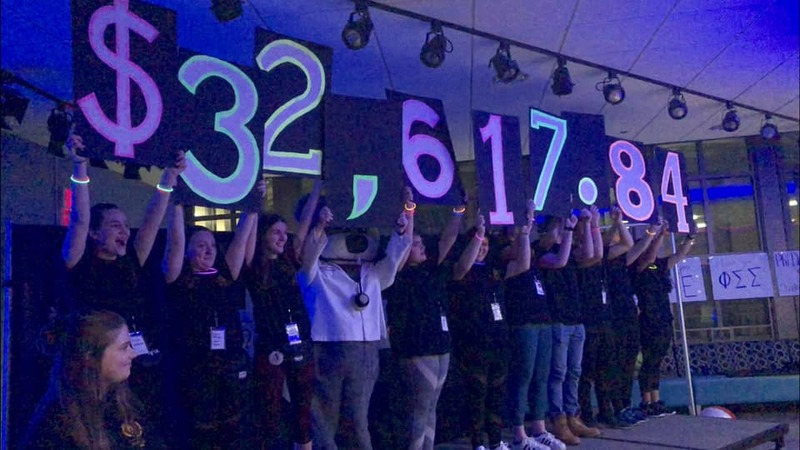 The 2019 EagleTHON at American University raised more than 32,000 USD for pediatric hospitals. In the photo above, participants celebrated this achievement. I had never heard of it but recognized the logo for Children’s Miracle Network from a friend’s sister who had posted it on Facebook years ago. EagleTHON is a student-led dance marathan that raises funds and awareness for pediatric hospitals across the United States. I did my part and registered, quickly raising $50 from my parents. But then I was done? All set for the main event? I didn’t like it. I didn’t feel like I had actually accomplished anything. So, I reached out—something that I had learned from my IB projects. If you don’t ask, the answer is always no. I direct-messaged the EagleTHON Instagram page about further ways that I could get involved. I never expected them to get back to me so quickly. I learned that I could be a part of the External Planning Committee. I barely knew what it was, but I jumped at the chance. After becoming more involved with the organization I now attend weekly meetings and work on increasing involvement across campus and fundraising to help kids access healthcare. I soon realized that the people behind the EagleTHON curtain are an incredibly passionate group of individuals dedicated to a cause and to a community. I couldn’t help but be impressed. I was also nervous. Everyone was so sure of themselves and I, a lowly freshman, was not. I only went to one meeting before winter break, courtesy of joining the team late. But right after that meeting, I felt more motivated than ever. I quickly encouraged a group of friends living in my dorm to register and I soon had a fledgling team, named the Jitterbugs. I can’t help but reflect on what brought me here. Yes, IB emphasized community service, but that’s not why I registered for EagleTHON or joined the External Committee. IB stressed character traits. Reasons to give back. It taught me and many others to be principled, open-minded, and caring. These values are the reason that I felt like I needed more than only going to class every day and why I decided to dedicate my time to giving back. EagleTHON has raised more than 100,000 (USD) for the Children’s Miracle Network Hospitals and funded art therapy, neo-natal diapers, medical equipment and more since 2014. 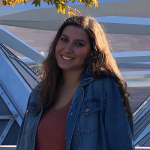 Emily Paglicci is a current freshman at American University, in Washington, DC studying International Studies. She graduated from Carrollwood Day School, a private IB high school in Tampa, Florida. She serves on the External Planning Committee for EagleTHON, an organization dedicated to raising funds and awareness for Children’s Miracle Network Hospitals across the United States and Canada. To hear more from Diploma Programme (DP) graduates check out these IB programme stories. If you are an IB grad and want to share your story, write to us at alumni.relations@ibo.org. We appreciate your support in sharing IB stories and invite you to connect with us on LinkedIn, Twitter and now Instagram!